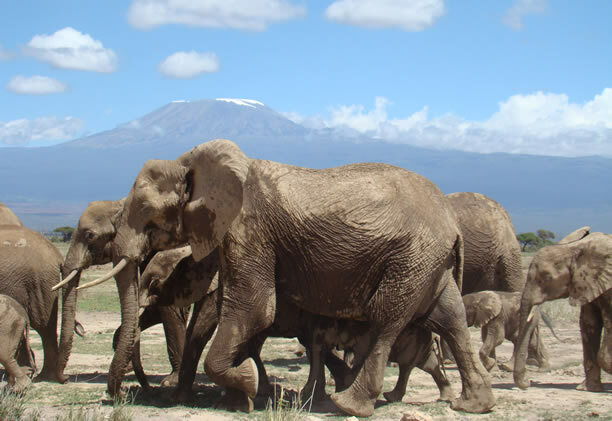 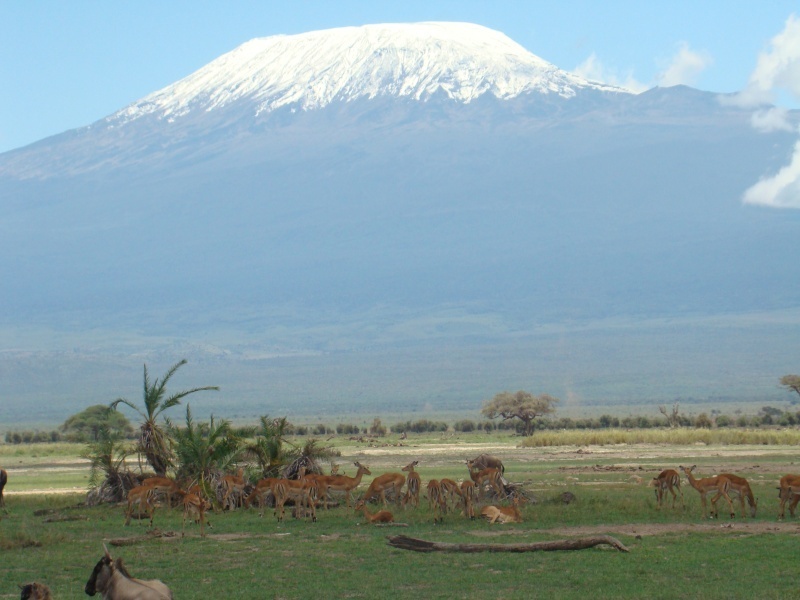 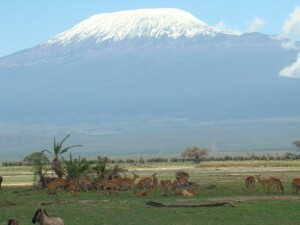 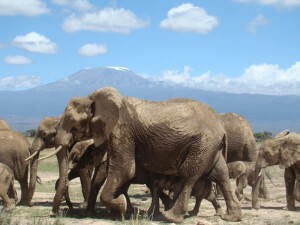 Transfer by safari minibus from Nairobi to the Amboseli National Park. 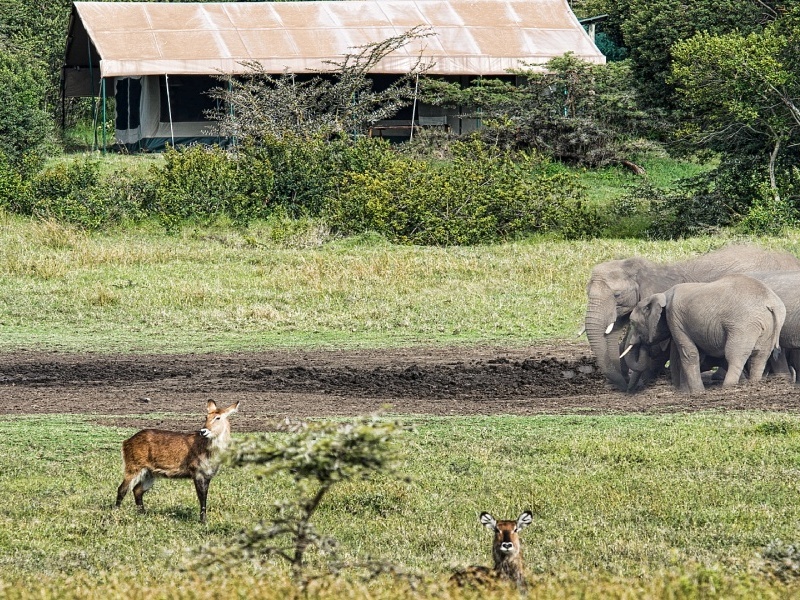 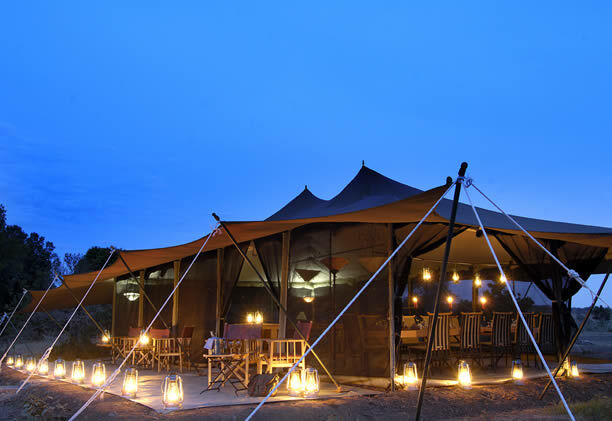 Check in at Porini Amboseli Camp & enjoy 2 nights on a full board basis. 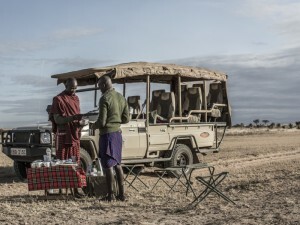 Leaving Nairobi by safari minibus, you’ll arrive at Porini Amboseli Camp before lunch, giving you time to settle in before an afternoon walk with Maasai warriors and a game drive followed by sunset and drinks. 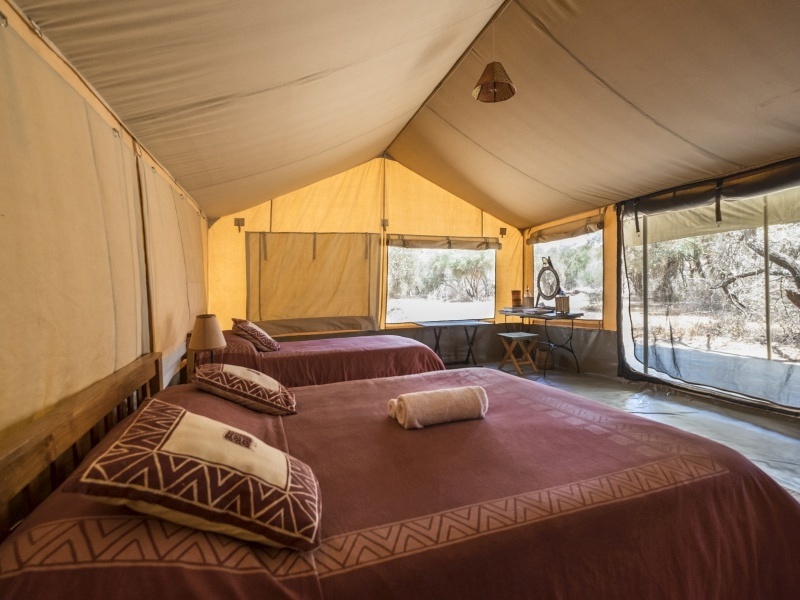 It’s the perfect start to your safari and the following day you’ll have the chance to explore both Porini’s private conservancy as well as the Amboseli National Park itself. 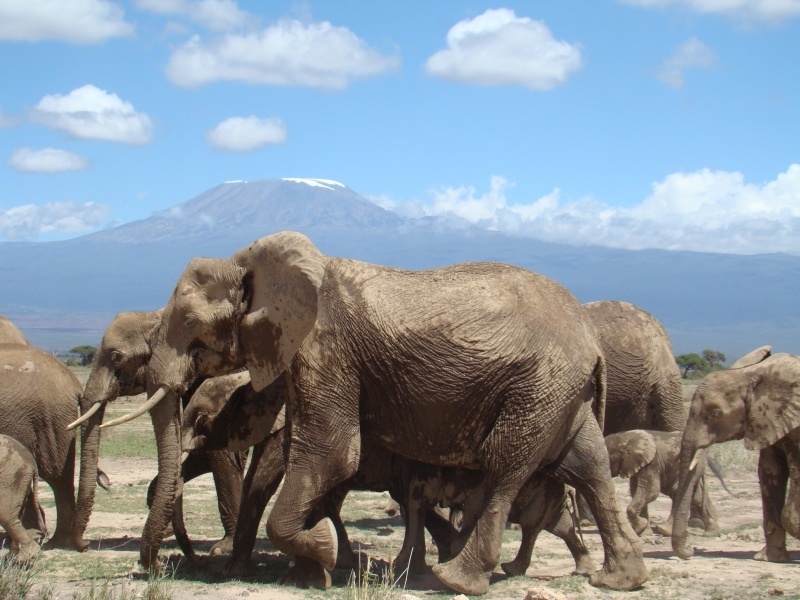 You’ll also enjoy night drives, revealing a wealth of nocturnal life, but it’s usually Amboseli’s elephants, framed by Mount Kilimanjaro itself, that steal the show. Fly to the Mt Kenya region via Nairobi. 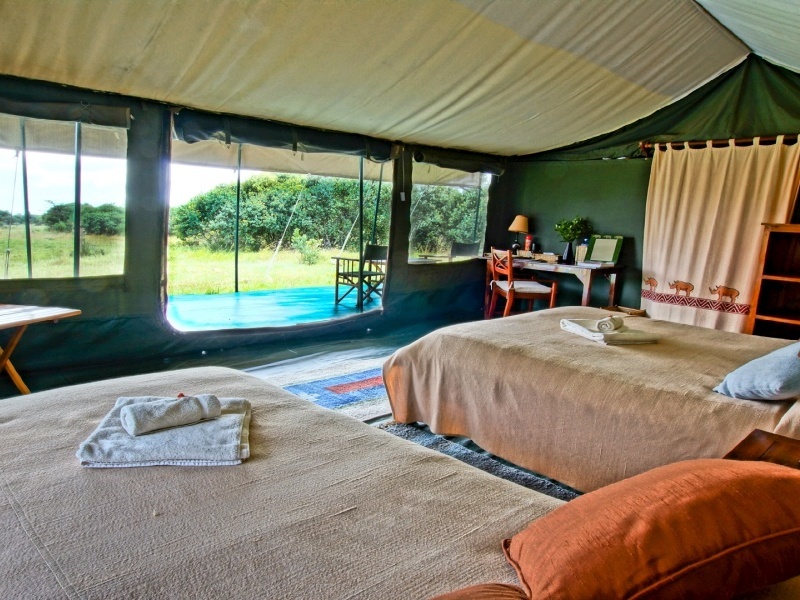 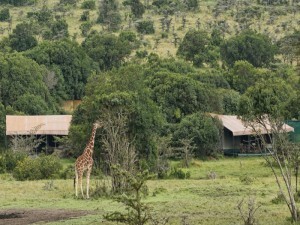 Transfer overland to Porini Rhino Camp in the Ol Pejeta Conservancy for 2 nights on a full board basis. The convenient flight between Amboseli and Mount Kenya means you’ll be sitting down to lunch at Porini Rhino Camp instead of travelling all day by road. 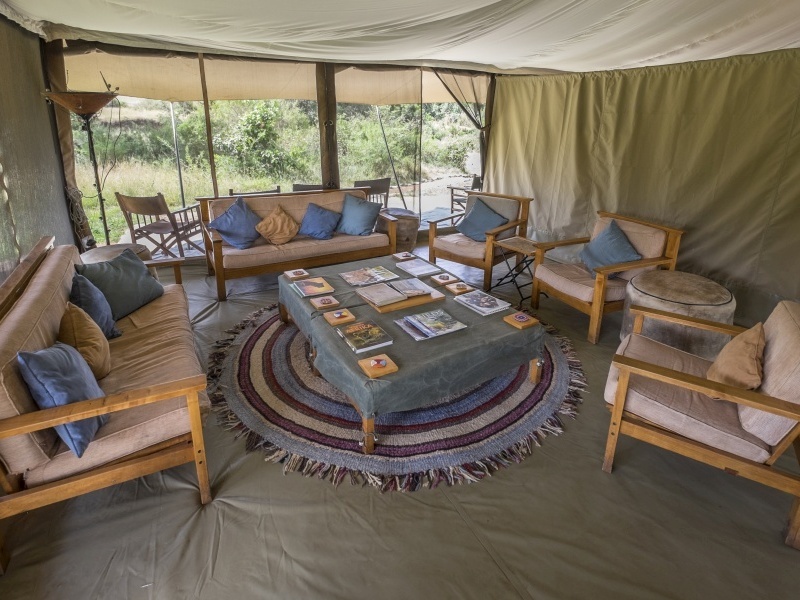 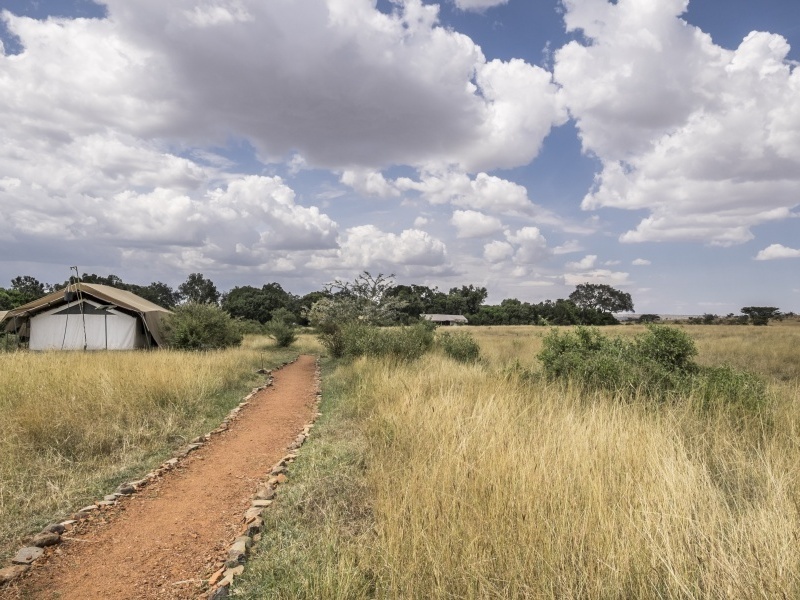 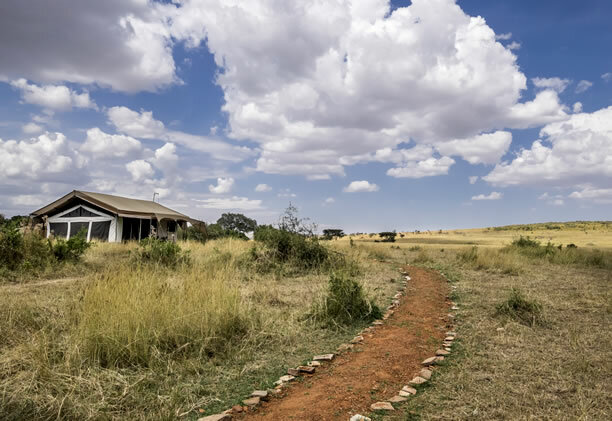 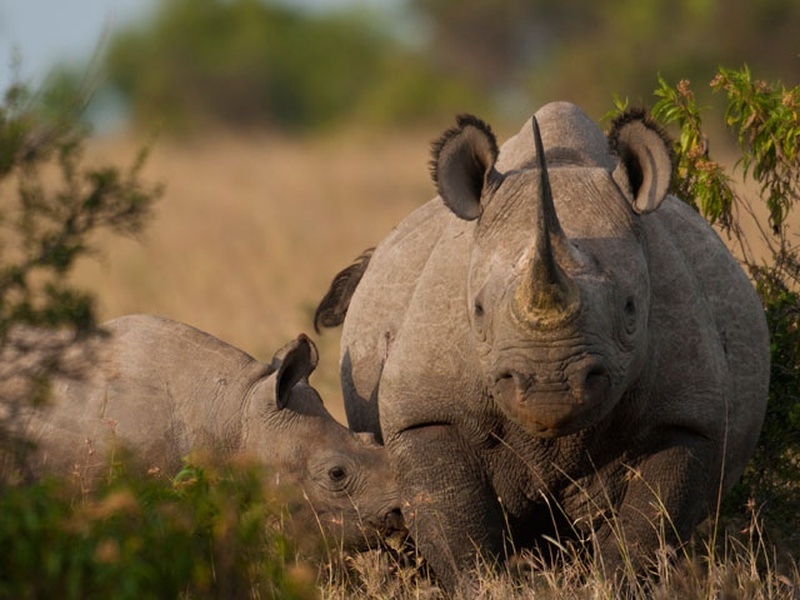 Rhino Camp sits in a private conservancy with a reputation for wildlife – it is home to the Big 5 and remains the best place in Kenya to see rhino – naturally! 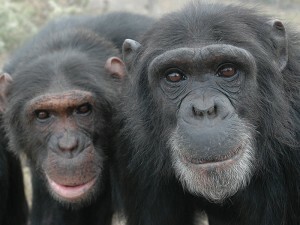 There’s also a chimpanzee sanctuary to visit as well as opportunities to engage with local communities and enjoy guided nature walks. With only six tents, the camp is small and intimate and has a stellar reputation for service. 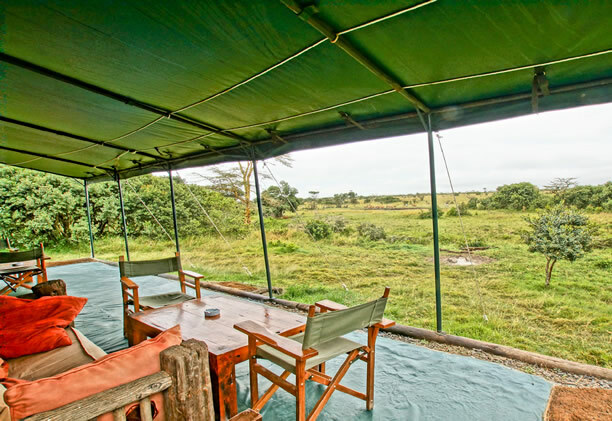 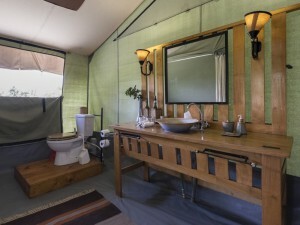 You’ll have your own bathroom and veranda with generous savannah views. 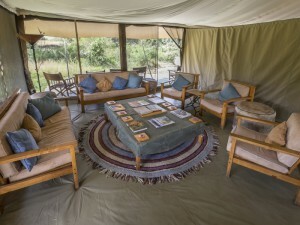 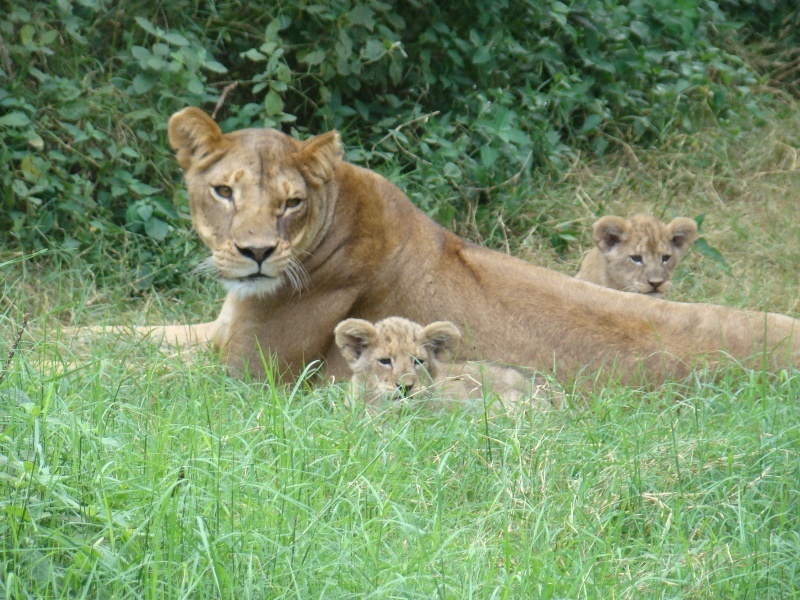 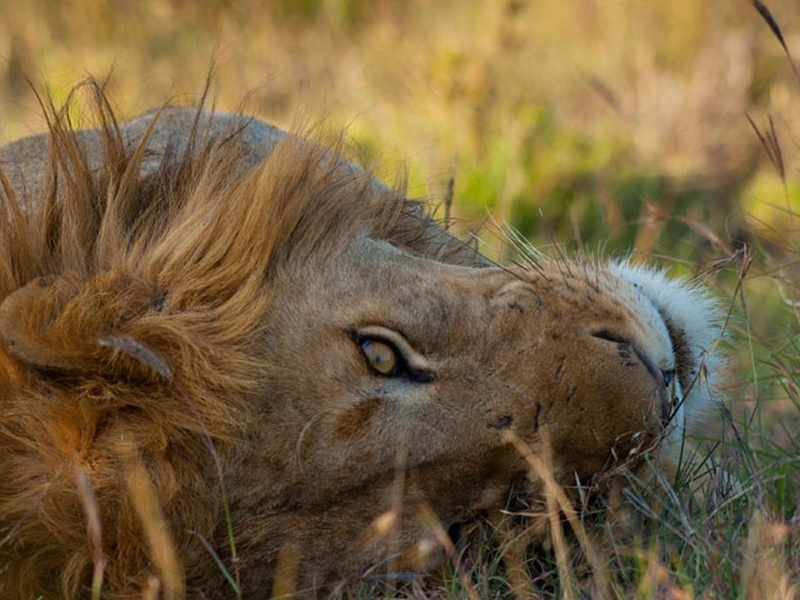 Fly to the Masai Mara & the nearby Ol Kinyei Conservancy for 3 nights at Porini Lion Camp on a full board basis. 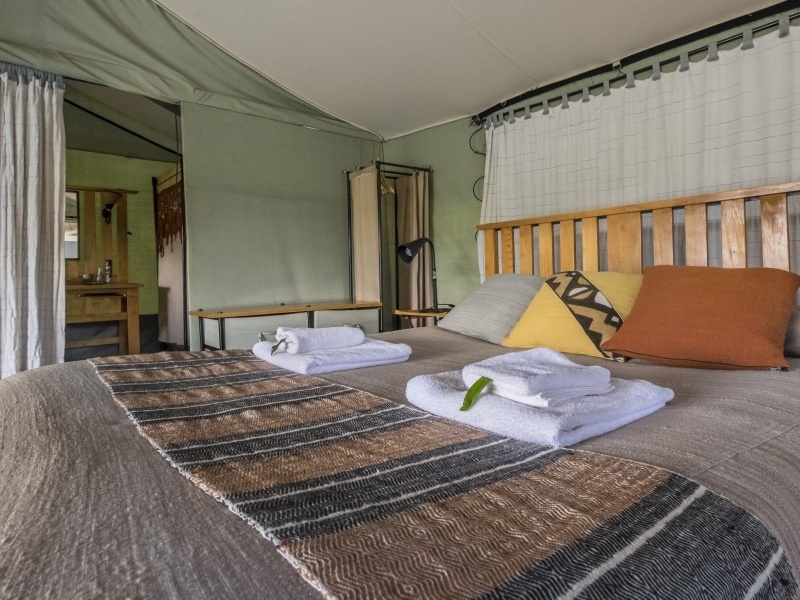 The Masai Mara is most famous for the wildebeest migration and between July and November, its rolling grasslands are the scene of epic life and death struggles between the herds and their predators. 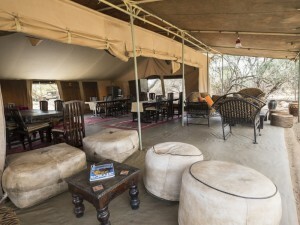 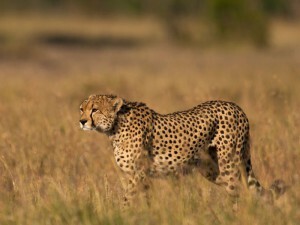 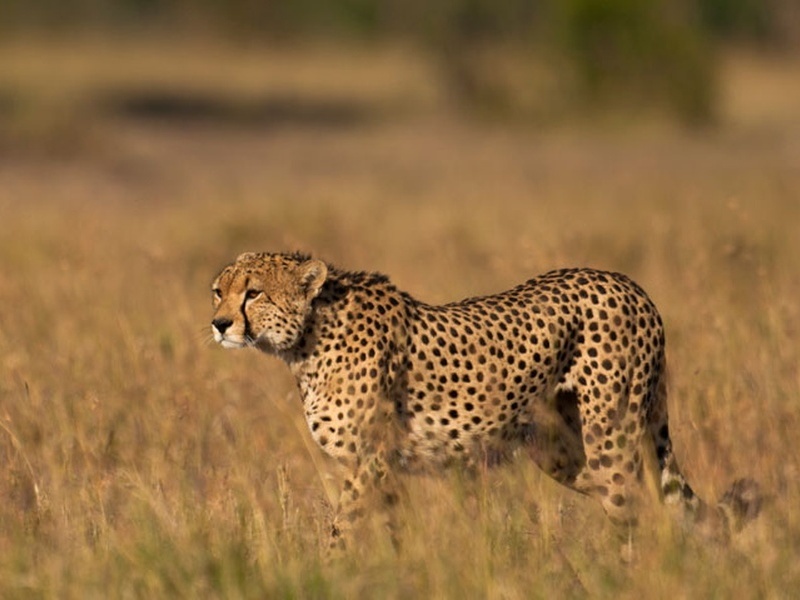 But such is the magnitude of the wildlife here that it’s a year-round game viewing destination – and Porini Lion Camp is set not just in a teeming private concession but in a predator-rich area too. Two full days here assure plenty of time for game drives, guided walks and visits to local Maasai villages where you’ll learn a little about life on the savannah. 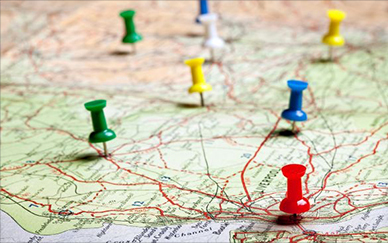 Transfer to local airstrip for flight back to Nairobi’s Wilson Airport & your onward travel arrangements. 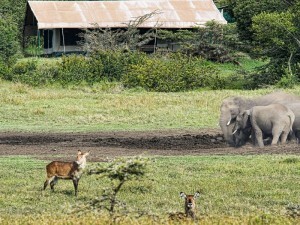 After breakfast and a final game drive you’ll be driven back to the airstrip for a late morning flight back to Nairobi. 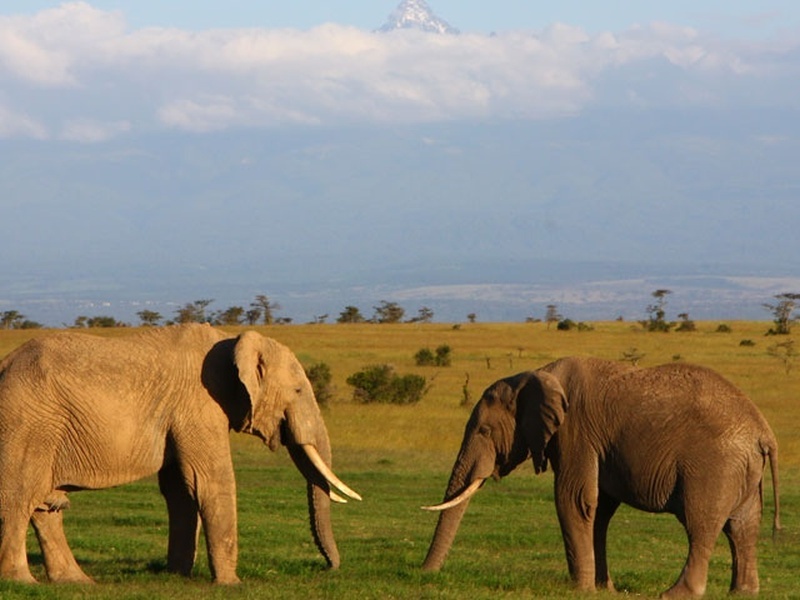 You’ll arrive at lunchtime at Wilson Airport; if you’d like us to arrange a transfer to Nairobi’s Jomo Kenyatta International Airport then just let us know. We can also help with accommodation in the Kenyan capital before and after your safari.